Barcelona are reportedly in talks over a transfer swoop for Chelsea forward Eden Hazard, while the club were also linked earlier today with a bid for Willian. Sky Sports have linked the Catalan giants with a £53m offer for Willian, while Sport state that negotiations are ongoing with the representatives of Hazard, who wants out of Stamford Bridge this summer. 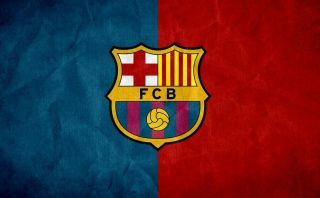 It remains to be seen if Barcelona would end up bringing in both players, but such a move could make sense in theory given recent goings-on at the Nou Camp and the current state of the squad. Andres Iniesta and Paulinho have both just left the club this summer, leaving a big gap in midfield that needs to be filled with a top creative talent. It seems no such deal is on the horizon at the moment, which could mean a slight change of system from manager Ernesto Valverde, or another player moving into midfield. One obvious solution to that problem could be using Philippe Coutinho in such a role, with the Brazil international able to perform to a high standard there despite mainly playing further forward in recent years for Liverpool and since his move to Barca in January. Ousmane Dembele also had a poor first season with Barcelona so may not be in their plans any longer, meaning potentially both Coutinho and Dembele no longer being options alongside Lionel Messi and Luis Suarez up front. That could mean room for both Hazard and Willian in a new-look side, though it could be very expensive for them to pull off. Don Balon have previously stated Chelsea would want £106m for their Belgian international, so that’s a total of £159m from Barcelona on strengthening up front. Still, it would be less than the £200m in total that BBC Sport claim they received from Paris Saint-Germain for the sale of Neymar, who has proven tough to replace, though together, Hazard and Willian may just do the job. If Barcelona pull this off it would be an absolute nightmare for Chelsea, who look set to part with their manager Antonio Conte after a lacklustre 5th place finish last season, according to the Guardian, among others. That report also suggests Thibaut Courtois is expected to leave west London, in what looks a major shake-up at the club, though not necessarily in a good way.